Are you planning to take the police written exam? 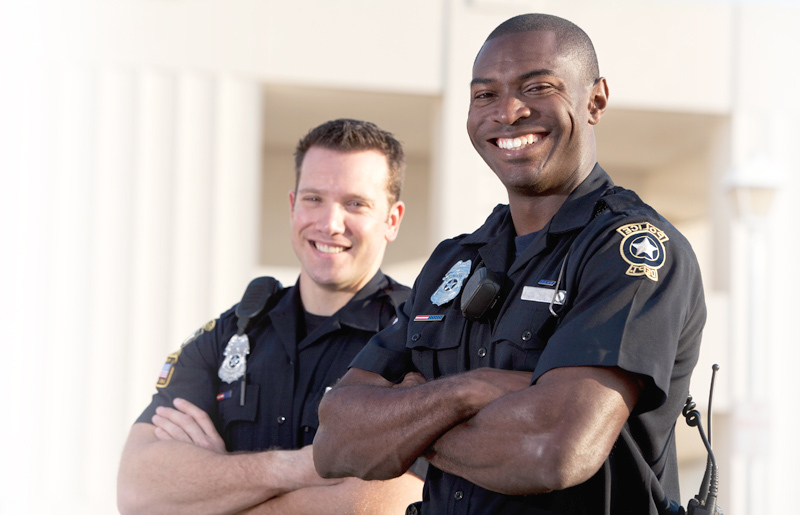 Ensure your success on your upcoming police exam with JobTestPrep's essential police officer preparation packages. Learn about the format of the police written test and familiarize yourself with the types of questions that will come up on your exam. JobTestPrep's police comprehensive practice resources will help you prepare with unique practice tests, sample questions, answers and detailed explanations along with study guides, score reports and more! Why Prepare for the Police Written Exam? One of the first steps to becoming a police officer, after meeting all of the basic requirements, is to take a police entry-level exam. The exam is just one part of the highly competitive police recruitment process. Getting to know the test format and types of questions will help you achieve a higher score on the exam. These sections may have different names depending on the police exam. Learn more details on the police written exam sections. Timing: Keep in mind that the police written test may be timed. Each section may have a time limit, for example, you may only have 25 minutes to complete the reading comprehension section of the test. The exam itself can take anywhere between 1-3 hours. Questions: The types of questions that will most likely be on the police officers exam are multiple choice. Each police department's exam is different. There also may be true/false, fill-in, and short answer questions. Some written exams include an essay question. The number of question on the exam can range anywhere between 100-200 questions. Scores: A typical passing score of the police written exam is 70%. Some police exams are pass/fail. This will vary according to each police department. The purpose of the scoring is to measure your ability in; general academic skills, following directions and remembering details. Those with higher scores have a better chance of being selected to be a police officer. In order to take or pass the exam, you do not need police experience or training, but you do need to prepare if you want a high score. JobTestPrep can help you pass the police written exam. Preparing for any test is a good idea so that you are aware of what will be asked of you and approximately how much time the test will take. Familiarizing yourself with the police test format and reviewing questions and answers will help lower your anxiety and boost your confidence by knowing what to expect on the day of the exam. Start practicing for the police written test by selecting one of the one JobTestPrep's comprehensive police preparation packages from the boxes above. For more tips on preparing for the police officer written exam, try our practice tests and study guide.